I'm thrilled to host my mentor Cara Putman today as she celebrates the release of her newest book, A Wedding Transpires on Mackinac Island, which is hot off the presses this week! Cara is such a treasure to everyone who knows her, and she has gone above and beyond to offer me support, advice, and encouragement just when I need it the most. 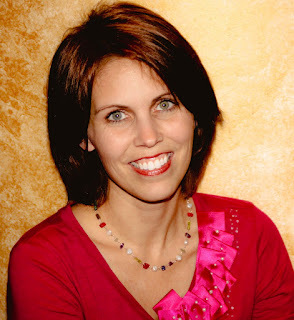 She is very active in the group American Christian Fiction Writers, and if you're a member of that organization and have attended the annual conference, Cara was probably the well-accessorized woman who offered you a smile and directions to your newcomer's class. She's also an attorney and a stellar wife and momma. I could go on and on about how wonderful she is, but what you need to know is that her fiction is also fantastic. I'm reading A Wedding Transpires on Mackinac Island now, and I've been so enjoying the rich setting she evokes. So without further adieu, pull up a chair, grab a cup of hot tea, and come get to know my good friend, Cara. 1) You have a new book that just released. Tell us a little about it. A Wedding Transpires on Mackinac Island was a fun contemporary novel to write. It can’t help being fun when it’s set on such a fun site. Here’s a little about it. Attorney Alanna Stone vowed long ago to avoid Mackinac Island. Although it may seem the perfect place to heal, for Alanna it holds too many memories of a painful past. But an exhausting high profile case and an urgent plea from her parents have brought Alanna home. Moving into the house next to Jonathan Covington doesn’t help her. Jonathan may have been her first love, but he was also her first lesson in betrayal. Now Alanna must protect her privacy and her heart. Then Secrets and a murder intersect, and she’s thrust into controversy again as tragedy turns public opinion against her and potentially her family. For years, Jonathan has stubbornly resisted the urging of his family and friends to date, believing he’s already found the perfect woman. With Alanna’s return, he begins to wonder if he’s waited too long for someone who isn’t the right one after all. 2) What made you want to write this book? The island is distinctive. The scent of fudge permeates the air. (Ashley's note: Must. Go. Here.) Fort Mackinac dominates part of the harbor view. And the sound of horses' hooves provides a soothing backdrop. But there’s so much more than wonderful places to stay. Mackinac Island transports visitors back to a time that is slower-paced. Travel is by horse drawn carriage (what’s more romantic! ), bike (a bike for two sounds pretty romantic to me) or by foot (stroll quaint streets? Sign me up!). While each of these has charm and appeal, the reality is that peace permeates your time on the island because something key is missing. The noise of cars and the requirement to rush around. With a setting like this, it didn’t take long to find a story that fit. Add murder and mystery, and it was fun to write. 3) Fun question! If you could choose any novel that's already been written, erase it from history, and then write it and claim it as your own, which would you pick? Wow, Ashley! What a great question. Hmm, what a hard question! I think I’d say Anne of Green Gables. Anne is such a classic character. Timeless and in situations we can still relate to almost 100 years later. I’d love to write someone that lasting. 4) I know some of my fellow Alley Cats would agree with you on that one! How did you get started with writing? I’ve always wanted to write. As a young teen, I started writing novels. They’ve disappeared, thank goodness, but the itch to create characters and stories never did. After I’d gotten married, graduated from law school, and started a family, the urge to write regenerated. In April 2005 I went to a booksigning and met my mentor Colleen Coble. The rest is history. Amazing what happens when God’s timing connects with passion. 5) Many of us at the Alley are still unpublished. What advice do you have for authors who are trying to find an agent and a publishing house? Be patient and be willing to do the work. While my journey looks uber fast, I’d spent a lifetime in training. Be willing to listen to advice and alter your original idea. Often agents, editors, mentors have suggestions that will make your work more sellable. Be willing to consider those pieces of advice. 6) What is your favorite part of the writing process? The writing. I love watching the evolution of an idea to a completed story. The outlining. I find it painful to keep digging ever deeper. But I know it’s critical. 8) Tell us about your involvement in ACFW and why this organization is so important to you. I wouldn’t be the writer I am without ACFW. I’ve served on the board off and on for a total of five years, helped start the Indiana chapter, and play a couple roles with the conference. I love helping writers new to ACFW find their way around. That’s why I mentor the first time conference attendees. I remember what it was like to come – and I’m an extrovert! So I invest time in the first timers to help lower their jitters. I am firmly convinced I wouldn’t be where I am without ACFW, so I want to help make it an organization that continues to help others. 9) What kind of themes can readers expect to find in your writing? What is your heart for your books? I hope they close a book with a sense of hope. That no matter how dark life seems, that God is still there. Even when we can’t see Him, He’s there. And He’ll give us a strength we didn’t know we had. 10) Another fun question! Tell us one random fact about you that will help us know you better. I’m a second-generation homeschooler. That means I was homeschooled and now homeschool my kids. GIVEAWAY time! 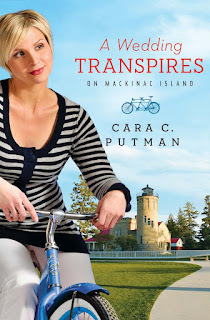 Today I'm hosting a giveaway of Cara's newest book, A Wedding Transpires on Mackinac Island! To enter, comment on this blog post about why the book sounds interesting to you, and be sure to include your e-mail address so I can get in touch with you if you win. Contest is only available to residents of the United States. 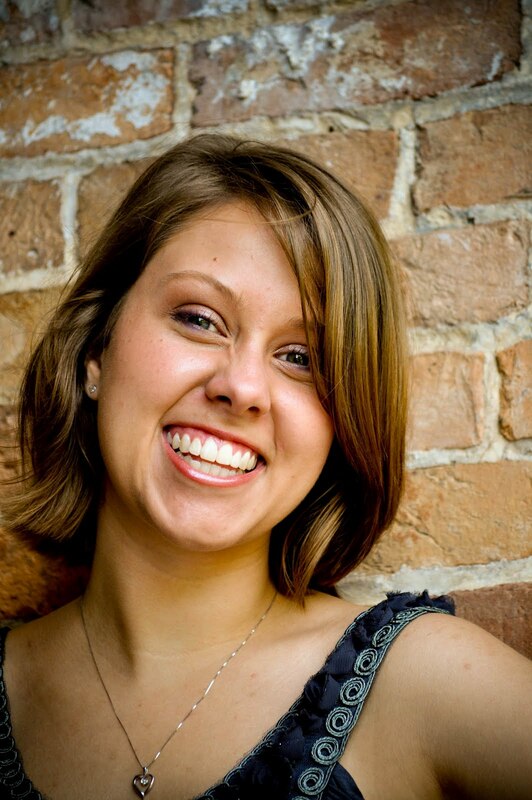 Ashley Clark writes romantic comedy with southern grace. She's dreamed of being a writer ever since the thumbprint-cookie-days of library story hour. Ashley has an M.A. in English and enjoys teaching literature courses at her local university. She's an active member of ACFW and runs their newcomer's loop. When she's not writing, Ashley's usually busy rescuing stray animals and finding charming new towns. You can find Ashley on her personal blog and her Tumblr. She's also on Facebook and Twitter. She is represented by Karen Solem. Ashley - Mackinac Island is SOOO cool. Have been there a few times, and it's wonderful. Cara IS an amazing woman, and as many books as I have on my "to-read" list - I'm still wanting to enter to win THIS one! I grew up in Michigan. Mackinaw Island is a dreamy place to visit. And Cara, well, she is an inspiration. Last year was my first year at the conference. Cara made those first hours comfortable. We laughed, her phone went off, she laughed, oh my, what a fun time. I may have to go to this island someday! It sounds sort of like Catalina Island off the coast of California. So cool! Mackinac Island sounds delightful. Maybe I can talk my hubby into taking me sometime. :) I love the idea of no cars and a peaceful pace of life. Thanks so much for sharing words of wisdom and fun today. I would like to read this book particularly for the setting Mackinac Island. Also, the storyline sounds like a good read. First time orientation is a lot of fun. I'm ready to get going with this year's batch of new attendees at ACFW. And thanks for all the kind words, gals. Ashley, you are dear to me, too. A few years ago I won one of Cara's books from a website. She sent along an ACFW postcard which I'm convinced was a God-wink. I joined ACFW a few days later. You always seem so encouraging to us newbies, Cara, and I love your advice to be patient and teachable. Great interview, Ashley & Cara! Fun interview. Every time I turn around lately, I hear about this beautiful place. I must put it on my bucket list of places to visit; it sounds so peaceful. Until then, I'd love to travel there via my imagination and a delightful story. What a fun interview (and site! I'm so glad I found you guys!!) :) I really admire Cara and her book sounds so dreamy. My sister honeymooned on Mackinac Island, and ever since I've told myself I'd get there one day. That was a great interview, and I love Cara's encouraging words. I'm definitely going to have to put this book on my wish list. I would love to win Cara's book. Island life sounds so appealing to me...relaxing! Thanks for the interview and the chance to learn more about this book and Cara. Being a lifetime resident of Michigan and having visited Mackinac Island numerous times, I'd love to win a copy of this book! Jeanne, I totally agree with you about the no-cars thing! How lovely and romantic. Thanks for swinging by, Cara! This book sounds interesting to me because of the setting (I've heard a lot about Mackinac Island though I've never been there)and it is a mystery. I love to read mysteries! Thanks for the chance to win a copy of A Wedding Transpires on Mackinac Island. I like mysteries too, Pam! I'm glad you mentioned that aspect!